Azinger will also remain at Fox, and starts with NBC in March. 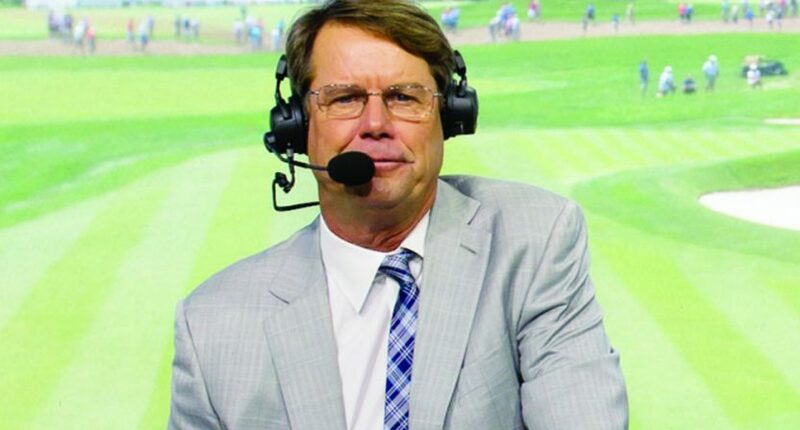 When Johnny Miller announced his retirement from golf commentary, Fox Sports analyst Paul Azinger was immediately named as Miller’s replacement. NBC made it official on Monday, naming Azinger as their lead analyst for their golf coverage. According to Sports Business Daily, Azinger will start at the WGC-Mexico Championship on March 27 and call 14 tournaments for NBC next year. Azinger will continue with his Fox duties, calling the U.S. Open and various USGA events. Now that he’s joining NBC, Azinger will also contribute to Golf Channel’s weekday coverage and a variety of shows on the network. Azinger replaces Miller, who had a broadcasting style that you either loved or hated (or eventually hated but learned to love). Depending on your mindset, you saw Miller as someone who spoke the truth and wasn’t afraid to criticize anyone out there or you saw Miller as someone who was so negative that it bordered on it being an act that may have taken away from genuinely great moments. While it seemed like Miller’s retirement and replacement with Azinger came out of nowhere, Azinger said this had been in the works since June when NBC made first contact with him. That doesn’t mean Miller necessarily was set to retire, but it could have meant that NBC wanted to figure out a succession plan when Miller did retire, and the network was happy with keeping Azinger on Fox until that time came. Miller’s last tournament will be February’s Waste Management Phoenix Open. This is another step up for Azinger, and solidifies him as one of the top golf analysts today. Working with Fox and NBC means that Azinger will be the lead analyst for two majors (U.S. Open and The Open Championship) and the Tour Championship, Players Championship, and Ryder Cup. And while it hasn’t been announced since we’re still over a year and a half away from the event, Azinger might also be included in NBC’s Olympic golf coverage at the 2020 Tokyo Games.